When high quality imaging and speed are of the essence, turn to the compact champion, XC-HR50, for the solution. The new XC-HR50 is a compact, lightweight, black and white video camera incorporating the latest 1/3 Type Interline Transfer (IT) Progressive Scan CCD with HAD technology providing 659 (H) x 494 (V) effective picture elements and incorporating a C-mount type lens mount. 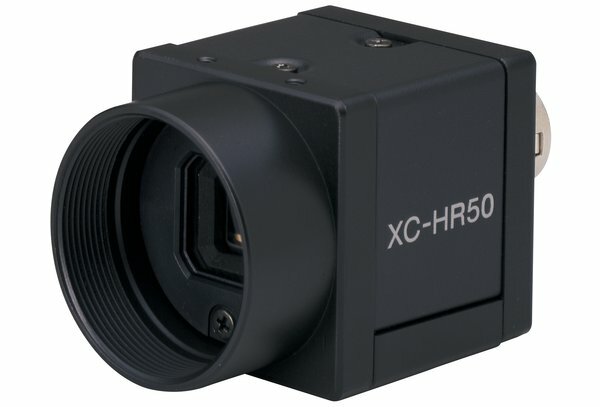 The XC-HR50 can capture high quality images at fast frame rates (twice the speed of Sony’s popular XC-55 camera) and is ideal for demanding applications such as semiconductor production and high speed assembly line inspection.